For Christmas I received one of those kits that determines one’s heritage. It’s a pretty easy process. You fill up a small vial with saliva, which takes a lot longer than you expect, close it up and seal it in the self-addressed box and ship it back. They even pay the postage. I received the results back last week after a wait of about four weeks. I can’t say there were a lot of surprises. I’m mostly British/Irish, which in looking at what I know of our family heritage means mostly Welsh/Irish. There was a decent amount of German heritage that I knew would be there. I was surprised to see there was about a 5% addition of Scandinavian in the report. But given their invasion of the British Isles it does make sense. All of which explains my inability to tan, my reddish hair as a baby and my love of Fish and Chips. There is a lot of information in the report, which I haven’t even begun to glean yet. And it’s odd to see the list of people who have taken the same test to whom I may be related. It’s odd to see the names and faces of people you don’t know with whom you share a common heritage. We know, intellectually, they are out there, but it’s somehow more real when you see names and faces. One of the interesting things is what the percentage of one’s heritage tells you about your family. In short the more of someone’s DNA you have, the higher the possibility you had grandparents, or great grandparents who were 100 % that genetic make up (in my case Welsh/Irish). The less the percentage the further back the family member is in one’s family tree. Let’s not let that pass us by. The closer the connection, the greater amount of that person’s makeup is likely to pass on to us. In a sense this is what Jesus is talking about in the Scripture. 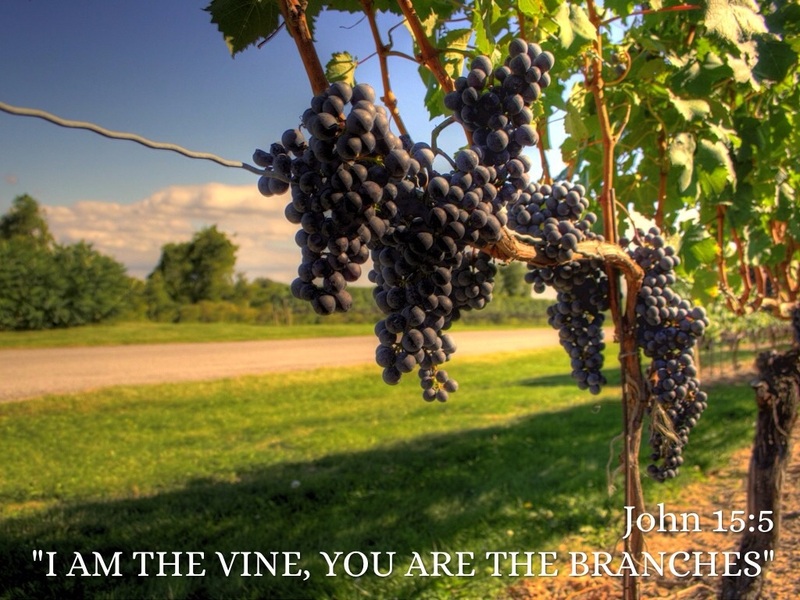 He is the vine and we are the branches. Spiritually everything we get is from him We do nothing on our own. And the more attached we are to the vine the more of the spiritual DNA is passed on to the branches. It seems that we miss that in the church today. It’s ironic because it’s such a familiar verse. We’ve heard I read hundreds of items. Seen it on posters, memes and greeting cards. We sang about it in VBS. Yet somehow it seems that we’ve missed the point in the church. We measure our spirituality, our Christianity, by how much we do for God. How busy we are for him, because of course busyness equals being a great Christian. We worry about numbers both in attendance and in our finances. In fact, we are tempted to measure success by how much the church has grown, how much was given and how many people attended our church events. Jesus suggests something far different. Jesus tells us in the Scripture the main issue is the connection. The more we are connected to Him the more he will naturally pass onto us His spirit, His heart, in fact His life. We don’t become more like Jesus by running around doing things. We become more like Him by making a concentrated effort to stay connected to Him. So take a breath today. Put your schedule aside for a few moments. And just reconnect. Pray. Read the Bible. Sit in silence. But be connected. The branch withers when it is cut off from the vine. The more connected you are, the more the Holy Spirit is made evident in our lives. He is the vine and we are the branches. As much as I enjoy interaction, discourse and debate, there are times when I have to admit it’s not good for my health, or my soul for that matter. I entered into a discussion with many clergy, and laity recently on social media. What began as an interesting discussion soon began to unravel. Reading many of the responses had me banging my head against the wall so much I was afraid if I read anymore I would be in need of a concussion protocol. Let’s be clear when they spoke of the church being a safe place they didn’t mean physical safety. All of us want our places of worship and gathering to be safe places where people aren’t afraid of physical danger. We need to make churches places where no one is harassed or demeaned as well. But in this particular case, many articulated they wouldn’t feel safe not because they would be physically threatened or demeaned. But because the host clergy had been vocal on issues in which there was disagreement. Let’s note that the event wasn’t about that particular issue and no one from the church would be keynote speakers. it was merely being in a venue where people disagreed with them over a theological issue made them feel unsafe. I have no desire to make light of anyone not feeling safe. I have no idea what they are going through, their history or where their spiritual struggles may be. But it made me wonder is the church supposed to be a safe place? Would I want to be a part of the safe church. For many the idea of safety meant acceptance. I see a great difference between being welcoming and accepting. Jesus calls us to be welcoming to everyone. We are all sinners saved by grace, going on to perfection. But when many speak of acceptance they mean accepting everything about me. Not tolerate it, but call good what I see as good. Should you look at anything in my life and not see it as good then you are not a safe place. Is the role of the church to be a safe place where everything is accepted and called good? Is it ever a good thing for the church to be unsafe? As I contemplated this a line from the “The Lion, The Witch, and The Wardrobe” came back to me. Mr. Tumnus is telling young Lucy all about Aslan, the lion, the True King of Narnia. Lucy asks, “Is he safe?” Tumnus replies, “Oh no, he isn’t a safe lion. But he is good.” CS Lewis helps us see that being safe and being good are not necessarily the same thing. In fact, there are instances where one cannot be both safe and good. I don’t want to be a part of a church that is safe. I know me all too well and I don’t need a church that will accept everything about me. I need a church that will confront me in holiness. Who will challenge my very concepts of what is good. I need one that makes my sin feel threatened. I need a church where the God is big enough that he pulls me out from my safe places and calls me to walk by faith where he is my only safety net. I want a church that will challenge my preconceived notions, destroy my selfishness so that I can be like Jesus. A safe chruch worships a God so small, I doubt he can do me any good. Moses at the burning bush, Isaiah in the temple. Paul on the Road to Damascus, over and over again throughout the Bible we find people having a life changing encounter with God. And they never feel safe. But they always bask in the goodness of God. I pray that’s what people experience when they come to church. Not safe for one cannot encounter the Lion of Judah and feel safe. But I pray they see His goodness. I pray that they experience that Goodness and have their lives changed. Would that we all might be a little more unsafe. It’s funny the things that imprint on our brain, as opposed to the things that don’t. You would think that the important stuff would stick in our heads and the unimportant stuff would not. Yet it seems to be the exact opposite. For instance, I can’t remember a single thing, not a single thing from my High School Algebra class. But I can tell you I saw Chris Hammond of the Reds pick up a win against Dwight Gooden in 1992. Then again, perhaps sit just we designate what we think is important and that’s what we remember. Regardless I do I know I remember very little to nothing from High School geometry ( are you sensing the theme here) but I vividly remember a poster that was in the cafeteria behind the “lunch ladies” when I was in kindergarten. It was a poster of a tiger made up of different food groups. The feet were triangles of cheese, the tail was made up of sausage links, you get the idea. Emblazoned over the “food tiger” were these words, you are what you eat. You are what you eat. Of course it was a meant to be a remind to eat healthy. If you eat healthy, you will be healthy. Which probably makes sense to an adult. But a five year old sees that poster in a very different way. What do you mean you are what you eat?Does that mean I’ll turn into one of the foods I eat? Which one? Why haven’t my parents told me of this dark magic? It quickly confirmed this was an evil place and I would have been much safer at home, watching Bogs Bunny, blissfully unaware one could turn into a hamburger. Of course I later found out it’s simply a way to reminder us to be careful about what we eat. We don’t become what we eat. Although to be on the safe side, I still refuse to eat brussels sprouts. Because if I’m going to turn into a food, I’m not speaking the rest of my life as a brussels sprout. bacon is another matter altogether. The poster is right, of course. 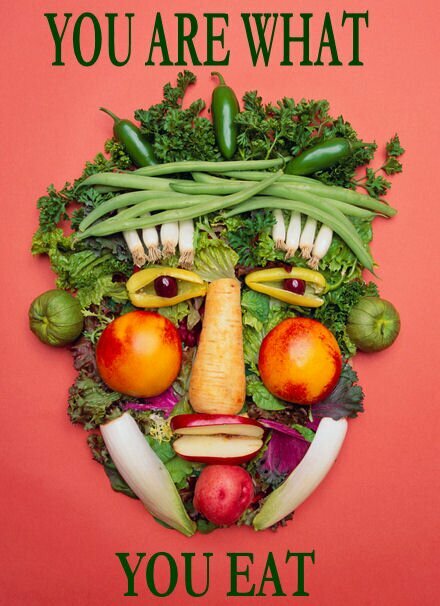 a steady diet of what is bad for us will affect our health. A lack of vitamins and healthy food choices will come back to haunt us at some point. A steady diet of bad food is detrimental both to the body and to the soul. I wonder it if it wouldn’t be a bad idea to have one of those pastors in the sanctuaries of our churches? You are what you eat. Be careful that you don’t feed your souls on poison and darkness. At some point the are consequences. What do you feed your soul? Do you feed it with anger, depression, a sense of futility, sin? Many of us have malnourished souls because we simply give them nothing good to feast on. And just like a malnourished body cannot perform, neither can a malnourished soul. I’ve through about this over the past few days as we’ve witnessed the ugliness of the riots and demonstrations in Charlottesville. It’s obvious the people there have fed their souls with hatred and violence. But I’ve also noticed how it’s affected those who have simply watched what’s going on. Many have claimed despair. Many have cried out they’ve lost faith in humanity. And I get it. What happened is awful. But I also understand that a steady diet of ugliness causes us to only see ugliness in the world. The only way the church can truly stand against evil is to make sure it is properly nourished in the first place. Please understand I’m not advocating ignoring evil in the world. I’m simply cautioning you only feeding off of ugliness eventually starves our souls. I’m choosing to eat properly in the face of brokenness. I’m leaning on the passage of Scripture at the top of the page. “taste and see that the Lord is good” Are you feeding on the Lord? Are you praying? Worshipping immersing yourself in His word. Are you even reaching out for His hand and inviting His Holy Spirit to comfort you? 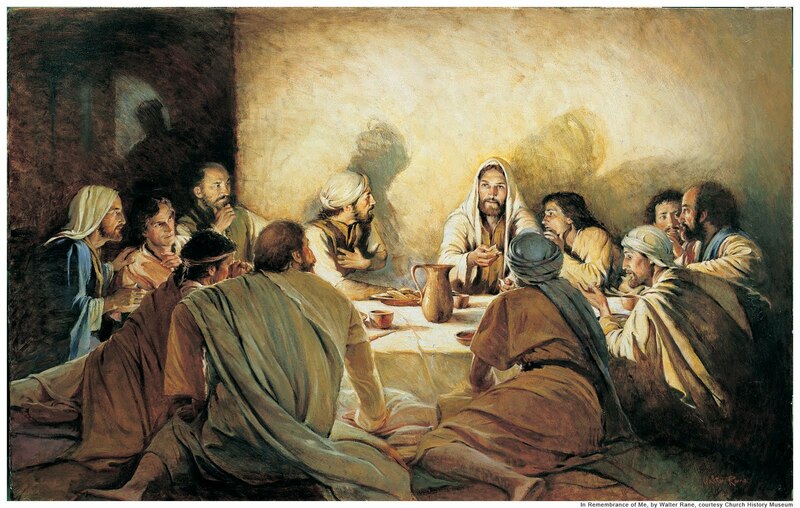 If I’m going to feast I want to feast on the ineffable goodness of Jesus. When I feed on His goodness the poison of the world has a lessened effect on me. Look for the good in the midst of the bad. I spent time remembering the good I saw in so many volunteers at our church who gave up their Saturday morning to be in mission to people in our community. And they do it every month. I want to feast on that goodness more than the despair. I think of hearing the marvelous things God did through our mission team, the first intergenerational mission team we’ve ever done. Children and seniors sharing the love of Christ. I want to feast on the goodness I see there. The joy of worship, watching a young man come to the altar and pray for his wife as they prepare for their first child. And while I think our church is special,it’s not unique. Everywhere we look God is inviting us to see the goodness in Him and in the world around us. It’s there for us if we will only seat and eat. So today I remind you we are what we eat. Will you choose to taste and see the goodness of God? What are you feeding your soul? I once heard a comedian do a piece on how interesting it is that we speak English in America, and yet, hardly anyone speaks it in the same way. He was referring to our accents. He took a few sentences and spoke them in several regional accents, pointing out how different we all are. He pointed out there is no such thing as a “Southern Accent” as that can be broken down into State differences. Someone from Georgia sound very different than someone from North Carolina. A South Carolina and someone from Kentucky sounds completely different. It’s the same in the West and in the North as well. Of course, we in the Midwest really want to believe that we have no accent. One could take a very Zen approach and say “No Accent is the Accent.” But we are fooling ourselves. Chicago, Northern Ohio, Southern Indian, we all have a different accent. The accent adds flavor to our common spoken language. We understand one another, yet we all say things a little differently. It speaks to our heritage and our family upbringing as well. The accent says much about who we are. My father and his family were all from East Central Kentucky. Not only did they have a distinctive accent, but it would increase in mass when they got together. Christian denominations have accents as well. Hopefully we speak a common language to the world as followers of Christ. But how we speak it will be very different. It doesn’t mean that if someone else speaks their faith with a different accent than mine, that they are not a Christian. It just means their accent is different. As long as we speak a common language of Christianity, we can be of one family. So what is our accent as United Methodists? Do we even have an accent? Or have we become the “midwest of the Christian faith,” where there is nothing terribly distinctive about us? While I fear that may be the case for many, the truth is we have a rich, distinctive accent rooted in our Wesleyan theology and heritage. And it’s high time we begin to reclaim that accent in our lives and in our churches. So what is that accent? In other words, what should a United Methodist sound like? Well first, let me say that above all else, While there is evidence to the contrary at times, one can’t believe anything one wants and be a United Methodist. While we believe there is a broadness of our faith, the come a point where one no longer speaks our language. There is an orthodoxy to our faith. Again, like English there are many accents, but a common language. But there comes a point where one is no longer speaking English. We understand there can come a point where one no longer is speaking our common language of Christianity. We speak with an accent rich in the authority of Scripture in our lives. We believe in the primacy of Scripture and its authority over us in all matters of faith and practice. John Wesley said that he was a man of one book. It doesn’t mean we don’t engage our minds. Although a man of one book, Wesley was incredibly well read across varied interests. He engaged the issues of the day, as should we. He believed there was a place for reason in our debates. But in the end the Bible was the foundation for all he did. It’s a dangerous way to speak by the way. The world around you will pick up on that accent that speaks against ever changing cultural morays and dares to hold to absolute truth. It’s dangerous, but it’s still our accent. We speak with an accent that is dripping with grace. Our accent tells the world we believe Jesus died for everyone, that all can come to Christ and be redeemed if they will come. We speak of a grace active in our lives, wooing us to the savior long before we know anything about Jesus. But we believe we have to answer that call. 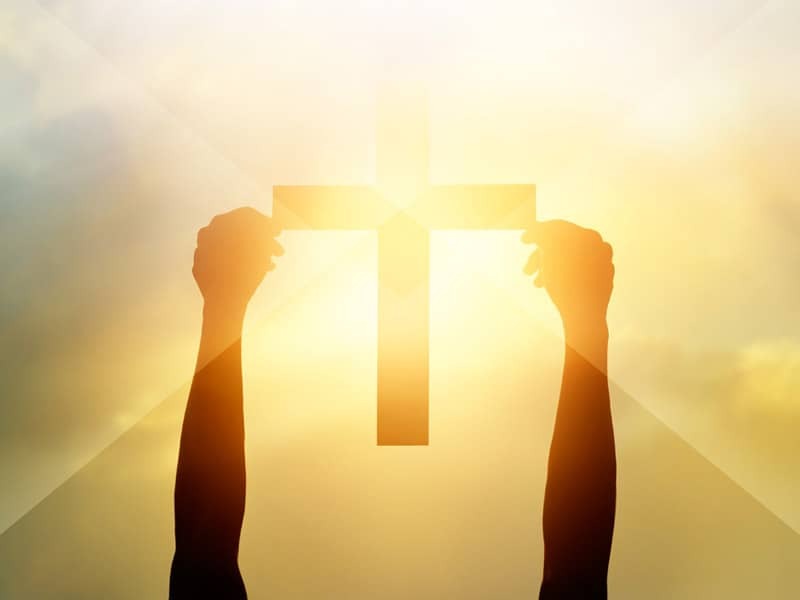 We believe that grace can free us from the power of all sin, forgive every sin and makes us righteous and assures of us a right relationship with God. But we have to come and accept it. We believe that grace continues to work in our lives until we become holy in every area of our life, with no desire to sin. A grace that allows us to love with the perfect love of Jesus. Our accent, we believe is best heard in the fellowship of others. Ous is not a private faith, but one that must be in the abiding presence of others. John Wesley believed there was no personal holiness without social holiness. while that is often used to give credence to a social witness, what Wesley was actually saying was that it’s impossible to be holy without having a group of other Christians around you. Ours is the accent of the small group, of accountability. Even the way we govern ourselves is done in connection. Ours is an accent of authentic relationships. Rooted in the word of God. Belive that word still speaks truth to us today. Grace that can change any life. Authentic relationships. reaching out to change the world around us and caring for the ill’s of our society. This is our accent. We dare not lose it since we live in a world that is desperate to hear it. What does your accent say about you? I can remember my father once sharing a story about someone he knew years ago who hear something on television. Mind you, this would have been just about the time television became popular in most people’s homes. I can’t remember the topic, but whatever it was, my dad knew it couldn’t be true. My dad’s friend immediately responded “Well ti has to be true, it’s a brand new TV”. The logic, of course, being that surely a new Tv wouldn’t share something that wasn’t true. After all it hadn’t been around long enough to be jaded, like his radio. It makes me wonder what this person would make of the advent of the internet. Never before have we had something that is so pervasive in our world, yet also so unfiltered. There is no mechanism that can insure what we see is true. Not only can we post thigns that are untrue, but they can be around the world in the blink of an eye. Take for instance, something I read the other day, supposedly said by Pope Francis. It was obviously a piece designed to besmirch the Pope, which in and of itself surprised me. Pope Francis seems to be generally well liked, which is understandable. He seems like the type of Pope who keeps hard candy in his robe to share with friends. Pope Benedict always seemed like the Pope who would yell at you for being on his lawn. But this particular piece said, in large blazing letters, “Pope a heretic. Claims that we should not follow Jesus. Following Jesus is dangerous and we ought not to do it!” My first reaction was, yeah probably not. I’m fairly sure the Pope didn’t say it. Of course, there were hundreds of comments arguing both for and against the Pope and the conversation disintegrated quickly. But my second reaction was, If he didn’t say it, I sure wish that he did. In fact, if he did say it, it was probably the most truthful thing he has ever said. Jesus was/is the most dangerous person ever to walk upon the face of the earth. And anyone who desire to follow him immediately puts their life in danger. Jesus is dangerous! We ought to be shouting it from the roof tops. We ought to have caution tape somewhere in every church letting people know the danger they are in when they are deciding to have a relationship with Jesus. The Jesus we see depicted in many pictures looks like he couldn’t punch his way out of a wet paper bag. He has no effect on us. We’ve sold out the dangerous Jesus of the Bible for a Jesus that more closely resembles a wallflower middle school boy afraid to ask anyone to dance. Jesus is dangerous. If you give him your life you are entering the most dangerous relationship imaginable. He is dangerous to your sin. Jesus and a sinful heart cannot coexist. The longer you follow him, the more he is going to tear away the wins that has its claws dug into your soul. And that tearing away is going to hurt. He’s dangerous to your low self-esteem and self loathing as well. He is a danger to your refusal to forgive people. He is a danger to your tendency to nurse old wounds and grievances. He is a danger to your prejudice and to the pride that colors every thought. He is a danger to your self centeredness he is a danger to your self seeking, self serving heart. He is a danger to the plans you may have for your life. He may so change you that your plans no longer fit. You might find your life going in a completely different direction. In fact, you may find your life no longer under your control at all. Jesus is dangerous. why, he’ll have you doing things you never thought you would ever do. he’ll have to love people you thought you could never love. He’ll force you out of your comfort zones and out into the dark world. He might even actually impress upon you to tell another person about the Good news of God. That’s at the heart of the verse at the top of the page. We tend to regulate this solely toward our finances. But Jesus meant so much more. It’s an invitation to enter into a dangerous relationship where we freely put all of our lives on the table and allow Christ to run free though our hearts. Yes Jesus is dangerous. But danger doesn’t mean evil or bad. I’m always reminded of the line from The Lion, The Witch, and the Wardrobe: “No He isn’t a tame lion, but he is good.” Come and experience the goodness found in the midst of the danger. I was talking to someone today about baseball. We are approximately the same age and had the same favorite team as we grew up. We talked about how we would imitate our favorite player when we played a pick up game. You wanted to imitate their stance, how they swung the bat, ran everything. We seemed to have the childlike idea that if we imitated them enough, we might become like them. I believe that desire to imitate is a God given gift to children. Children want to know what it means to be an adult. They want to know how do we navigate the world we are in. And so they look to adults around them and often imitate them in order to learn how to live in the world. This is why as parents, and I think in some ways, especially for Fathers, it’s so crucial to exhibit what it means to be a godly man. There are generations looking at us imitating us. We ought to give them something worth imitating. I don’t know that we ever outgrow that. We are always looking for people to imitate. I think that’s true for us as Christians. We look to others to imitate their relationship with Jesus, hoping to become like them. Once more, I don’t think that’s a bad thing. After all, Paul goes so far as to challenge others to imitate him as he imitates Jesus. I’ve been reading through the Gospel of John, and I’ve found someone else to imitate. Obviously we all should imitate Jesus and allow him to live through us. But I’ve found someone who I want to at least begin to imitate in my leadership and I think my spiritual life as well. John the Baptist. John the Baptist isn’t in the Gospel of John for very long, but in the few places we see him he gives us great insight into what it means to be a Christian leader. There is a lot to like about him. Granted John the Baptist (or as we’ll refer to him JtB) wouldn’t win any fashion awards with the camel’s-hair robe. And he was probably never asked to bring anything to the Judean potluck’s after he brought the locust and wild honey casserole for the third time. But look beyond that and there is much to imitate. First, he knew his role was to make the path’s straight not lead people down the path. Isn’t that our role really? To know that it’s not our place to convert anyone. All we can do is to help people be prepared to experience Jesus. Our role is simply to do all we can to prepare people to encounter Jesus and trust that He will do the rest. Secondly JtB understands his role. His role was to make the paths straight and then to step aside. Often in ministry we try to do too much, often for the fear that if we don’t do it, it won’t be done. JtB knows that all he can do is to do what he is called to do and no more. Thirdly, JtB knows being prophetic comes with a price. The world doesn’t want to hear the Good News. It pushes back. Being a prophet of God often means saying what the world doesn’t want to hear, but needs to hear. JtB lives life that points to Jesus. When Jesus begins his public ministry JtB loses some of his followers. Soon he is completely overshadowed by Jesus. And once do we see JtB get angry or become jealous. His life was about given God the glory and allowing Christ to receive the credit. How often do we complain because we receive no credit for what we do? Hwo much more peaceful would life be if we did everything to the glory of God and only becomes restless when God didn’t receive the glory? Look at how JtB answers his followers in John 3:29-30. “My joy is in the coming of the bridegroom. He must increase, but I must decrease’ I can think of no better prayer or any Christian, but especially those in Christian leadership than to pray “Lord may you increase and may I decrease today”. JtB becomes a martyr. Some might think his life ended too soon, or that he is a tragic figure. I don’t believe that’s how JtB would have seen it. He rejoiced in the great privilege of giving his all to God. No one who gives all they can for the truth is ever a tragic figure. JtB left everything at the feet of Jesus and rejoiced in giving his all. What do you hold back? The world needs more Christian leaders like JtB. Knowing our roles, telling the truth, willing to pay the price and be unpopular for the Gospel’s sake. desiring everyday to decrease that teh glory of Jesus might increase. Will anyone see a bit of John in you? I don’t often fall prey to sensationalized headlines, but every now and then one grabs me so hard I just can’t help myself. For instance , the other day I came across an article with this emblazoned headline, “Will Facebook replace the church?”. I mean, come on, who can resist reading that article? It seems that Mark Zuckerberg, founder of Facebook, sees the great potential in social media, especially his social media to truly bring us all together. It will be a place that creates and sustains community, even more so than the institutions we have before us, including the church. And so the article wondered is Facebook would replace the church as it continue to reach out and create community. First, let me say I want to commend Mr. Zuckerberg on a very astute observation. Whether he realizes it or not, he is supporting a very biblical world view. The Bible says we were created in the image of a Trinitarian God. Therefore, because God is eternally in community we as his creation always desire to live in community. Not only do we function better in community we cannot fully become who God wants us to be outside of a community. Zuckerberg realizes it’s something we are missing today. We are missing being a part of community. He sees the crises of a people made to be in community, but lacking anything that truly brings people together. So I admire his effort. But in all honesty, the answer to the headline is simply, no. No, social media, And we can lump Facebook, Instagram Snapchat, kik, you name it into the same category. But Facebook will not replace the church. And if it does, its surely a poor replacement. There’s no doubt social mdie is here to stay, and I like it. I use it. If you are reading this, its probably via social media. I’m a fan. But it simply cannot replace the church. The church offers true community. 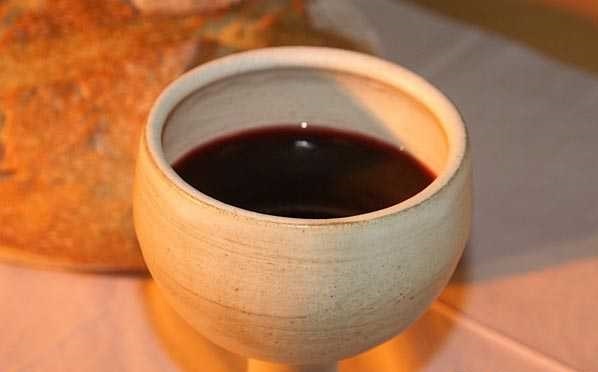 First the church is the Body of Christ. That’s not just cool imagery. We are the body of Christ himself. I’m not sure we can take this point too seriously. It is a part of the bedrock of our understanding who we are. Community is NOT the goal of the church. Nor is unity. I’ve heard this in my own denomination ad nauseum lately. We must be unified. Let’s not lose our unity. Even many of the ads made by the UMC center around community as we “Rethink” church. But no where in the Bible does it say the goal of the church is unity. Look at the Great Commission of Jesus given to the church at the end of the book of Matthew. We are to go and make disciples of Jesu Christ to the ends of the earth. Unity and community are beautiful things. Bu they are by products of our being the church, not the end result. When we accept the Lordship of Jesus, allow His Holy Spirit to infuse us, we go and make disciples. That’s unity. Unity in a purpose under Christ. 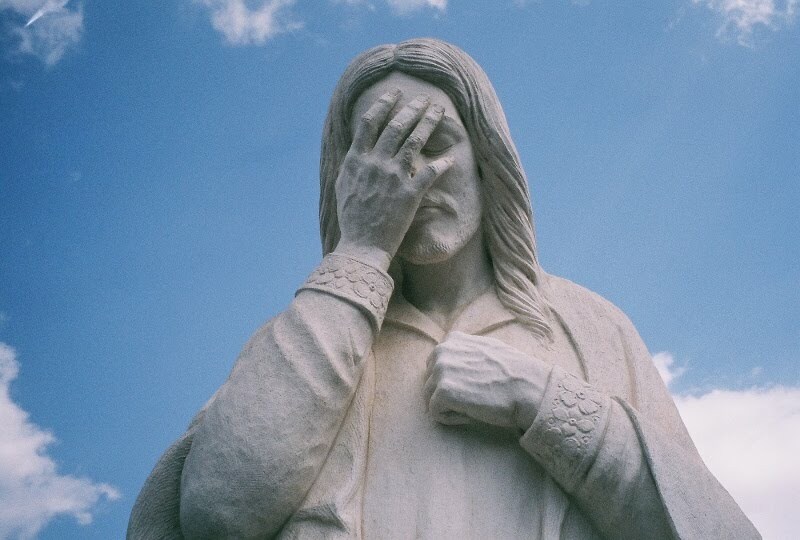 I mean, can you imagine a scenario where Jesus says at the End of time, begone you never knew me, you never visited the imprisoned, you didn’t feed the hungry you didn’t clothe the naked. Oh,but Jesus we were unified, we got along and we have community. Oh, says Jesus, in that case come on in. All I ever wanted was for you to get along. I want to be part of something more than a group that makes each other feel better. The church realizes that community comes through accountability. Social media doesn’t hold us accountable to each other. Oh we argue and point out how someone else is wrong. But really, do we ever hold one another accountable? It holds up a mirror and calls you into a deeper relationship with Christ. It dares to tell you when you are not following Jesus. The church has a community that forces me to look at the sometimes ugly part of who I am, yet it loves me anyway. 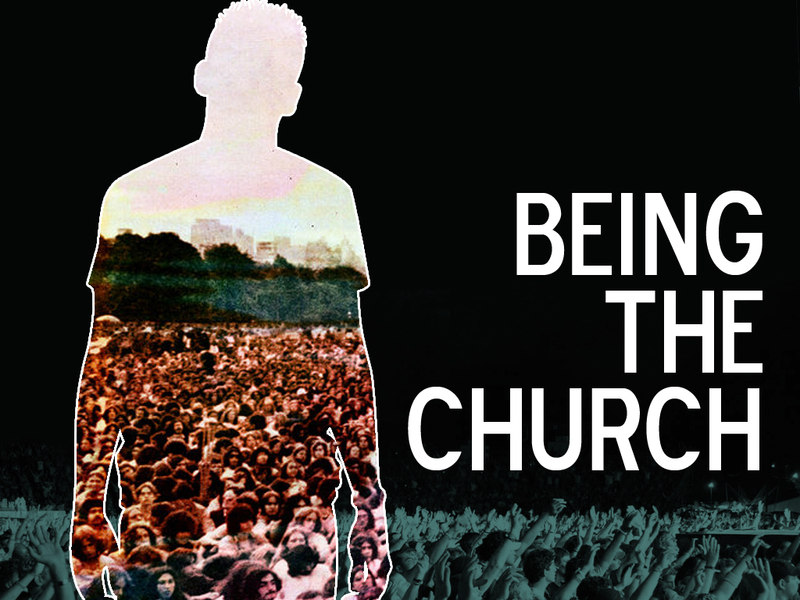 The church knows that true community means loving and living with some really difficult people. I think one of the great thinks about Facebook is that I don’t have to follow everyone I am friends with. If your posts annoy me, heck if you annoy me, I am free to just not listen to you anymore. I dont’ have to see anything you write. I can, at the drop of a hat unfriend you. But the church doesn’t work that way. We actually have to love those we don’t agree with. We see all of their faults and yet love and respect them anyway. And that’s Ok because they are doing the exact same thing to me. I don’t get to have a homogenized view of community within the church. We are a part of the Body of Christ, even when we don’t get along. I can’t unfriend the body of Christ without unfriending Jesus Himself. Like I said, Social Media is a great tool. and it is. It can enhance community by bringing us together, providing a vehicle by which we can get closer. But it’s not real community, at last not how Jesus defines community. Real community is somehow more difficult, more problematic, grittier than what the world offers us. Yet in the midst of that it is also infinitely more beautiful as it helps me see the face of Jesus in others and helps inform me so that others might see Jesus in me. That’s community. Several weeks ago I went to visit a church family that lives some distance from our community. There was no easy way to get to their home and you had to go up and down the hills, follow some curvy roads and make more than a few turns before you ended up at their house. Knowing I was unfamiliar with the area, my administrative assistant took mercy on me and printed off careful instructions how to ge to my destination. She said she wasn’t sure what the cell service would be like and that I might lose my signal if I used my phone’s GPS. So just to be on the safe side, she had a hard copy of directions printed for me. I did use my GPS, but just to be on the safe side, I kept those directions within reach. As I made the drive I thought about how thankful I was to have an amazing convenience like GPS and turn by turn voice instructions. I was also thankful for printed directions that made it that much more difficult to get lost. Station to station voice direction, maps on our phones or tablets, even a (gasp) maps are wonderful things aren’t they? They keep us from getting lost. They help us to find our way. And they help us not only reach our destination, but to be able to find our way home again. I like the security of knowing where I am going and how I’ll get home. I imagine you do as well. If you are like me, you’ve often longed for same sort of directions from God. wouldn’t it be great if God gave us step by step directions on what he wants us to do in life? Clear paths so that we could fulfill God’s plans for our lives? How often have I preached on the “burning bush” passage out of Exodus there and have someone come up to me afterward as say I just wish God would give me a sign like that and show me what he wants me to do with my life. But I’m not so sure that he hasn’t. Maybe it’s not that God hasn’t genus directions for our lives, but that we refuse to follow them. What if the problem is that we and God have different views of our destination? The two Scriptures at the top of the page hold some remarkable similarities. Moses and Joshua are both contemplating what God wants them to do. Moses with his life and Joshua with the assault on Jericho. God comes to both at their moment of crises. And in both scriptures we see an admonition to “takeoff your shows you are standing on Holy Ground. Before God gives Moses his plan for the Exodus he invites Moses to enter into his holy presence. Before God gives Joshua a plan for defeating Joshua He does the same thing. He invites Joshua to be in the midst of His holiness. They are told to take off their shoes and they draw close to God. This is a reminder of God’s purity. We are not to take the dirt of life with us when we come before God. drawing close to God, in fact destroys the dirt within us. God is pure and without sin. But I also see a desire for intimacy here. You are standing on holy ground, so don’t let here be any barriers between us. take off your sandals. Allow your feet to sink into my holy presence. Don’t just see me or hear me. Feel me from the very bottoms of your feet. Can you see the pattern? Draw close to God’s Holy presence. Leve ones impurity and sin behind, Become intimate with God. And become holy yourself. Before God ever tells Moses His plan, he invites Moses to first be transformed. Before God tells Joshua what to do about Jericho, God invites him to be transformed. Transformation. This is God’s plan for us. God’s destination for us is that we be transformed by his holy presence and become holy ourselves. Everything else is secondary. We ask, and very earnestly I might add, “God what do you want to do with my life?” ANd what we mean is , What are your plans for me? What job should I take, where should I go to college. Will I ever be married, will I have kids? God answers what I want is for you to come into my presence. Take off your shoes step away from your sin and stand on holy ground. Transformation. But because he doesn’t give us the answers we are looking for, we feel as if he hasn’t answered us at all. We don’t want to hear about being transformed. I don’t want to hear about my sin, or what I have to let go of. I don’t want to hear about becoming intimate with Jesus’ Holy presence. I want to know what to do to get a promotion. God speaks, we just don’t listen. What God says to Moses and Joshua is what he says to us. “Look I have plans for you. 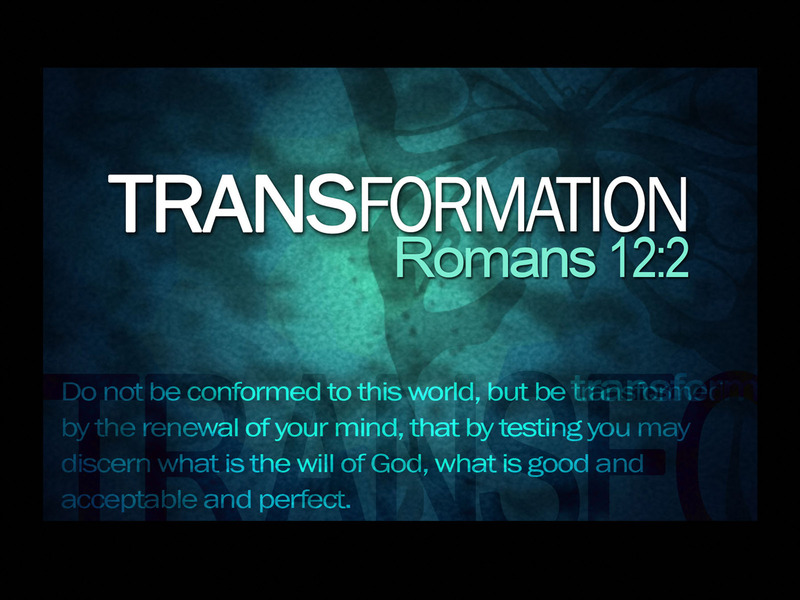 But what good are the plans if you aren’t transformed?” What benefit is there to be used by God, but never transformed by him? There are far to many of us who are willing to be used by God but don’t want to be transformed by him. God gives us his plan and directions for us all the time. We just don’t want to hear them. Do you really want to know God’s plan for you? Then let me encourage you to follow His direction. Draw close to Jesus. Take off your shoes leave your sinful lives behind and step into his holy presence. Transformation is our destination. Yesterday was Father’s Day and I, like many of you enjoyed the day with your family, with your Father, or at least thinking about them. 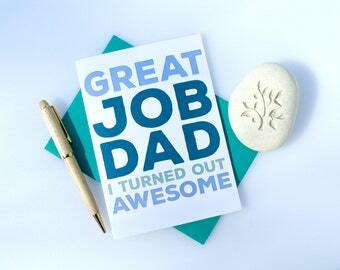 Before Father’s Day I saw several interesting discussions from clergy as to if they celebrate Fathers Day in church. Interestingly enough, I didn’t see this discussion around Mother’s Day. There are some lines angels and clergy won’t cross. But many of them said they do not recognize father’s day in church because it’s not a Christian Holiday. Some of these folks to be fair, are trying to hold to a Christian calendar and keep the focus on Christ. At the same time for many it came across as a triggered response that anything male celebrated in the church must be bad. Regardless it seems to me they are missing the point. There is something inherently Christian about celebrating both Mother’s and Father’s Day in church. Yes, our focus must always be on Christ. And in full disclosure while we did have some specific prayers around Father’s Day, I didn’t preach on it. I would have but it’s just not where the Holy Spirit was leading through the Scriptures. But we celebrate because Fathers and Mothers represent in a tangible way the way God as our parent relates to us. They help us see and understand the loving nurturing side of God as well as the protective guiding part of God. In other words it’s easier to sing “Good, Good Father” when you’ve experienced what a good father is. There is also a redemptive nature to this as well. 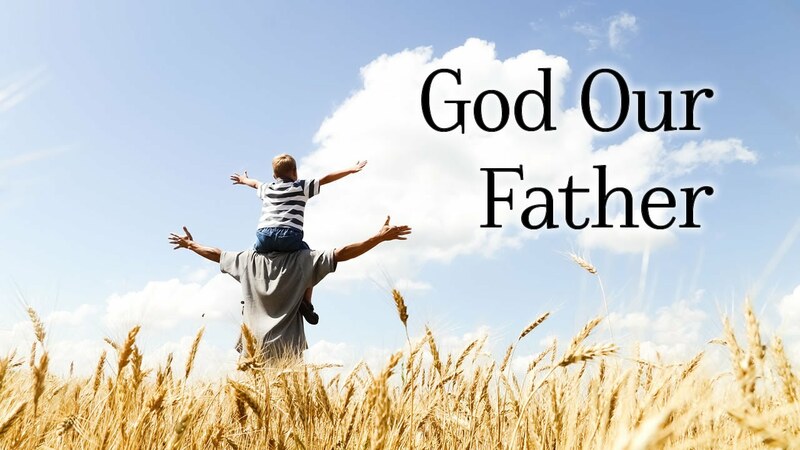 No, not evevryone had a “good father” but we can experience what it means to have God as our father. No one needs to go through life without a father. Psalm 68:5 says God is the father to the fatherless. It’s also appropriate for us to celebrate because parenting is, well, it’s hard. Yes, its wonderful, it’s rewarding etc. But it’s also really hard. It’s staying up with babies because they won’t sleep. Staying up late when your kid isn’t home because you are worried and now you can’t sleep. It’s doing things that are hard, or allowing your child to go through painful situations not because you don’t love them, but because you do. I vividly remember one of my pastors telling the story of being a missionary in India. he and his wife and three small children. The little boy had something wrong, a deformity with his feet. The doctors in the area lacked the equipment and skills to do the surgery and the family probably couldn’t afford it even if it had been available. But one Doctor told them to take coffee cans and roll them on the bottom of the child’s feet several times a day and force a correct alignment. They were warned this will be very painful for the little boy. he won’t like it. But do it anyway. The Dr. was correct. The little boy screamed every time they rolled the cans across his feet, benign and pushing him to straighten them. The little boy would begin to cry as soon as they got the cans off the shelf. He would beg for his father, who had always been there to protect him, to help him. At times the father would go up on the hill-side behind the house and weep. The minister told us, it was the hardest thing I have ever done. Yet 14 years later I sat an watched our son win a tennis championship in college. What the little boy saw as punishment the father knew was the greatest expression of his love. He cared about what the little boy would become more than his momentary comfort. I believe that’s what Paul is getting at in this Scripture. We rejoice in difficulties not because we are masochists. But because in the end, we know we have a good father, A father who cares about the type of person we will become. A good father who weeps with us but who loves us enough to allow the fires of our problems, temper our souls. You have a heavenly father who loves you. 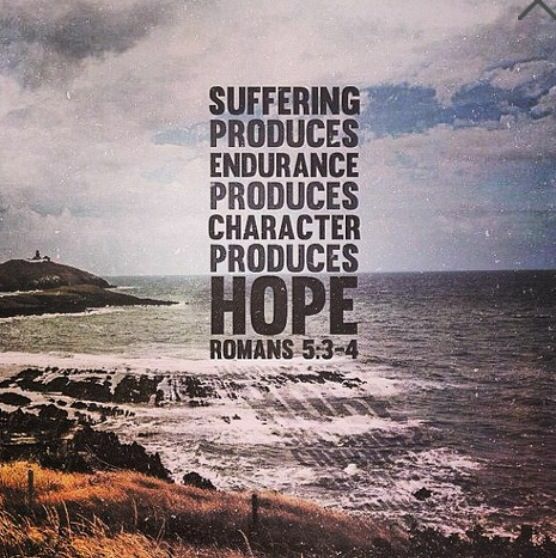 At times when we struggle it might seem as if he doesn’t but he does. whatever you are going through today, know that God does not abandon you and he will use every situation, if we let him, to help us become who he has always dreamed we would be.